Hot runner maker which also called injection molding supplier provide plastic molding solution, Anole is the Chinese hot runner, a very good quality hot runner brand. Anole hot runner supply customer whole sets high quality hot runner system, contains pre-sale guidance, hot runner mold flow service, design, manufacture, installation mould testing, after-sale follow-up maintenance all aspects of services. All the accessory from anole hot runner like the heating coil, thermocouple, imported from German company. The most durable and most stable heating elements from German. Thus hot runner heating function can reach best quality, highest precision and longest service life. Hot runner is setting in the mould used for injection melt plastic filling into the mould cavity. Regular repair and maintenance can not only prolong the service life of the nozzle, can increase the mould service life and performance. If your mould is idle for a long time,we must to take measures to prevent the heater be affected with damp. We should set the mould at a dry and ventilated place, clear all the water and oil, wipe corrosion in case rust. 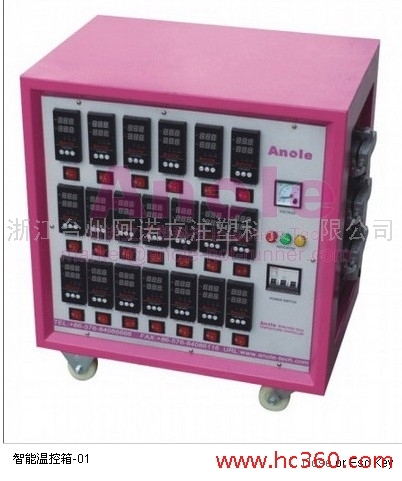 Anole hot runner not only supply high quality goods, but also a fine solution. Welcome to make detail consultation. Hot runner temperature controller is used to detect the temperature on manifold and nozzle and keep the consistent temperature. The error in design and manufacturing of temperature adjustment system. Such as , the quality and assemble of heating elements. If the quality of heating elements are not in good quality, it will cause the uneven power and cause the uneven adiabatic condition. The error happens when designing and manufacturing the gating system. If the gating system cause unbalance flowing of plastic material, the viscosity of the material of change. If you have any project for temperature controller,please do not hesitate tocontact us. The structure of thehot runner system technology is composited of sprue gate nozzle,manifold,nozzle,heating elements and temperature detecting elements, install components and fixing components. 1.The waste material in runners do not need demolding, the whole injection process is totally automatic. 2.Hot runner can accurately control the unity of each nozzle, making long flow path possible, promising the consistence of plastic parts and increase the accuracy of plastic parts. 3.Hot runner decrease the cost of raw material and do not need to recycle the waste material. If you need hot runner system,please do not hesitate to contact me. Before sign a contract of hot runner production specifications, production technology analysis has the direct bearing on hot runner injection production stand or fall, it is the premise of whether adopt hot runner system or not. Generally need consider about market survey, production data, quality demands, cost analysis and company ability. Market survey includes two aspects. One is injection products and molds production survey. There is difference of injection mould companies, such as small, big. These mould companies’ order and production up and down decided hot runner equipments offer and sale. The other is survey professional hot runner market so that we can get it with the most competitive price. 1. Injection products production orders, product designs or sample, usage and work environment in details. 2. Production quantity, week output and month output. 3. Material brand and parameter, related additive process condition. Hot runner system also can achieve cold runner product quality. it can’t leave without every aspect attempt. Hot runner system can help improve product performance and realize automatic production. Cost analysis is one of the important basis of hot runner adopt. Hot runner injection is high quality large quantity production project. In domestic, if a factory has hot runner mould or injection process plant has hot runner injection production experience becomes customers’ choice elements. Temperature controller is one of the hot runner component, through control the hot runner nozzle and manifold temperature control the plastic hot runner injection temperature. Thermocouple is the temperature-sensing element, it used to measure the hot runner temperature then transfer the signal to the temperature. Show the current temperature on the temperature controller screen. Injection molding machine mould testing worker use the hot runner temperature controller box control the hot runner working temperature and heat the hot runner. There is two type hot runner temperature control equipment used very common in Anole. One is called intelligence temperature controller box. And the other on is the insert type ,can replace by customer very easy when one card broken, called embedded controller box. Please check the below picture, it can show the advantage about the embedded temperature controller box. And the intelligence temperature controller can not reach this advantage, but would not effect working efficiency. Welcome to make detail consultation, Tina is always here to help you deal problem and order project. Digital hot runner temperature controller is a device that continuos keep hot runner system at the suitable temperature. It is composited by insert temperature controller meter,switch, box,fan,wire,cable and so on. Temperature controller box is detect temperature and show the reality temperature on the temperature meter. Digital hot runner temperature controller is adopt of microprocessor control. Temperature controle precision is arrive at 0.5℃. Insert temperature controller has a alarm setting.and J type thermocouple and K type thermocouple can interchange. Anole hot runner temperature controller has a good temperature controller capacity. Anole hot runner can offer customer the whole set hot runner system including hot runner temperature controller box. and we can offer you the single zones temperature controller and multi zones temperature controller box. Before using temperature controller,we should pay attention to the following notice in order to the wrong handle cause hot runner system broken. open each zones switch and set the temperature and check the temperature whether arrive the setting temperature. Anole hot runner is specialize in hot runner system over 13 years. We adopt of GC & Hotset heating elements,the Germany heating element. Our ideal is : not only proved a hot runner system to customer but also the whole solution. Integrated hot runner system can be divided into car mold hot runner system and a split type hot runner system. Anole hot runner commotted to facilitate customer assembly, save time, protect the hot runner accessories, ensure the long-term stability of the system injection molding production. Anole hot runner technology is well known to mold market,has established long-tem ,stable cooperation relations with lots mold enterprises. Integrated hot runner system is suitable for: car bumper, car dashboard, car doors, etc. Split type hot runner general design for the general type of hot runner system, equipped with a large number of inventory standard, can greatly shorten the product delivery. In the integrated hot runner system, the nozzle, plate formed a simple unit.Melt material flow directly from mainfold into the nozzle, so that it can't be skewed flow and corner. Through the threaded nozzle was embedded into the mainfold, eliminate the phenomenon of the leak between the nozzle and mainfold. Anole hot runner sincerely hope can cooperate with you! Anole injection technic company is a professional hot runner system maker. We provide customer various style of nozzles, manifolds,temperature controller boxes,and heating elements. Temperature controller box is an important parts of the hot runner system and it is also a key part of the injection machine. So the temperature controller box technology request is very high. First, is the basic request is that it should precision control the temperature and can protect hot runner system. Second, it should use the low voltage at the beginning of the molding operation. Since if a mold is stoped for a period of time,the humidity may come to the heating elements. So if we use the high voltage to work at the beginning, the heating elements may be broken. Third, it should has the function of automatic temperature change. Since if the material stay in the hot runner for a long time then the material will be decomposed and if the material stay too short also will effect the surface of the products. Forth, the temperature controller box should have the calculation of PID so that the response can be active enough. Fifth modular construction should be installed in it. Since with modular construction, if the control panel is break, we could just push put the controller and put a new one in it. And it is very convenience. And also a modular construction control a single aream so if an area has some problem ,the others can not be influenced. Six the temperature controller box should have the function of making the temperature uniform distributed in every part of hot runner system. Above all, the temperature also should have the functions of Automatic check the reasons of system failure,Good user interface, memory function, connection function. These are all the our temperature controller box technology request.and we all try our best to do it well. As society developing rapidly, living standard and quality of people have got apparent progress. Nowadays, they have high requirement of car quality. in the meanwhile, the same competition in the automotive industry is also growing. The car is the same quality requirements, especially for the requirements of the automobile headlights. The optical test is much more stringent. In this regard, Anole hot runner combination of foreign advanced technology. Mold in the headlights to seize a place, in particularly for color bevel needle. In many enterprises, Anole hot runner company combine abroad advanced technology, we got good reputation in car light mould market, especially for double color car light valve gate hot runner system. In the most hot runner factories, Anole depend on stable technology stand out. High light transmittance, no silver, no welding marks, high quality appearance requirements, which are basic of conditions of qualified products lights. Anole hot runner is a Chinese-Portuguese joint venture company, which offers clients high technology injection mould system. We produce 30000 points nozzles annually. The hot runner system with high quality, stable performance, it has been sold to Portugal, Spain, France, Italy, Brazil, Colombia, Turkey, New Zealand, etc. From entire hot runner industry development, more and more buyers attention to China's high-end enterprise market, directly speaking, China mold enterprises are facing re-shuffling situation, transformation and upgrading are inevitable trend. Low-tech, low added value, lack of market competitiveness of products destined to be eliminated. In this environment, automotive, medical, represented by the high value-added molds become more ans more popular, of course follow hot runner industry concern. With the development of automatic industry, car hot runner has great development space in China, Anole always concern operating in the automotive sector. The main features of automotive injection molds show high value-added industries, high surface requirements and technology. Such as car headlights, how to protect the excellent light transmittance and to avoid the removal of cold material to be milled pattern or a secondary processing such as a laser, resulting in increased wear and scratches proportion of products and so on. Anole launches targeted solutions to provide nozzles, manifolds and temperature control box of the train service to customers. Anole developed pin point gatehot runner nozzle series, direct gate nozzle and valve gate hot runner system. Besides, precise temperature controlling is Anole’s key factor to win the market. During injection molding, how to increase temperature gradually is a problem. In conventional injection molding, the temperature transiently increased, it will make a great affection to heater parts. Anole with Germany's most enduring and stable heater spare parts, master the core technology in the injection molding process to achieve gradual warming faithful, heat, and cooling process, providing the overall solution. With China hot runner market diversification, quality and service in the enterprise development occupies an increasingly important role, especially in the automotive industry, high-carbon materials, such as nylon fiber and composite materials has become a new technical Difficulties. Anole has a number of hands-on experiences of skilled workers, to perfect the technology research and development capabilities, to provide hot runner molding technology consulting and perfect after-sales service. We win industry recognition. Up to now, we have established long-term stable cooperative relations with Geely Group and the East Citroen, Dongfeng Peugeot, Renolds and other car companies.